It’s no secret that contemporary Indian art is becoming increasingly visible in the global art scene over recent years – one doesn’t need to visit the subcontinent to recognize that. And it is also no secret that it is in Mumbai, the capital of Maharashtra’s State, where the Indian art found the perfect environment to flourish. 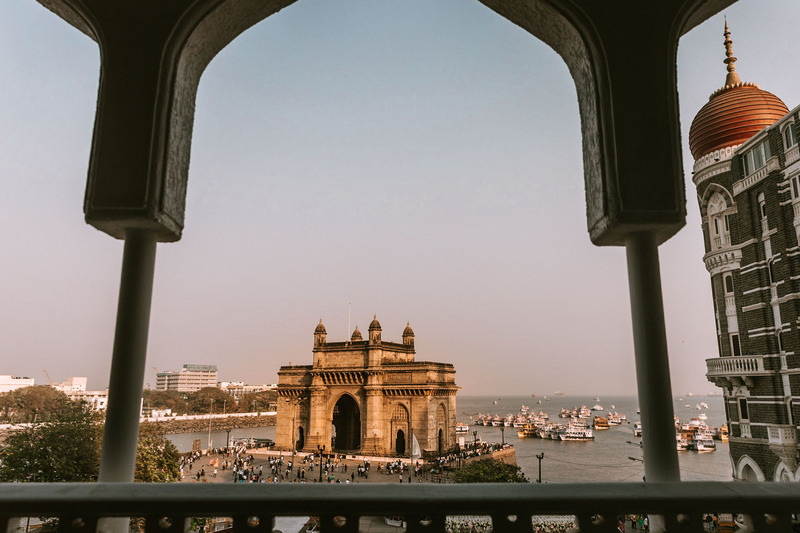 India’s wealthiest and most populous city, Bombay – as locals like to call it – is the country’s financial powerhouse and entertainment capital and home to several thriving creative industries such as Bollywood, animation, publishing, fashion and art galleries. Its vibrancy flows from a dynamic, cosmopolitan and urbane culture that nourishes the creative ecosystem, encouraging multiple talents to bloom. 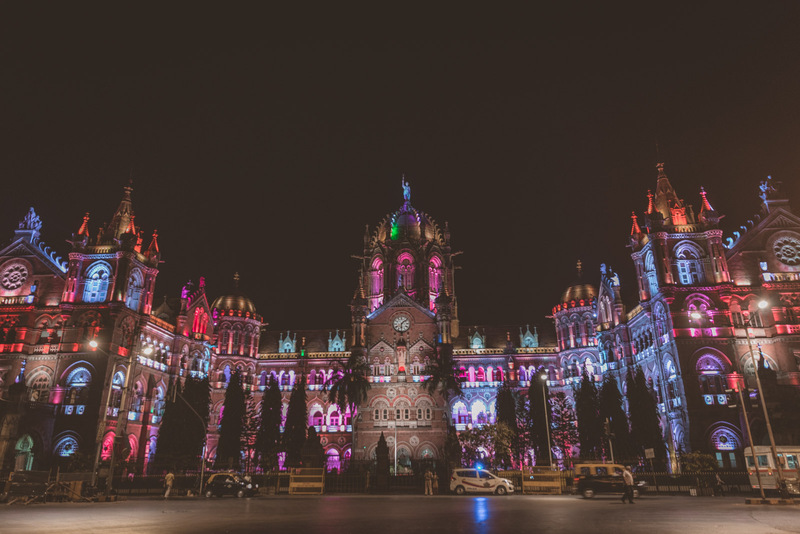 The combination of a fast-growing economy – enormous fortunes are being made in Mumbai – and incredibly rich history of art passed down by successive dynasties resulted in a city that inspires enterprises as much as it inspires creative minds. “India is a country with intangible cultural heritage. Our Modern Art is a reflection of that”, says Ranjana Steinruecke, who runs Mirchandani + Steinruecke – one of the most prominent galleries in Mumbai. 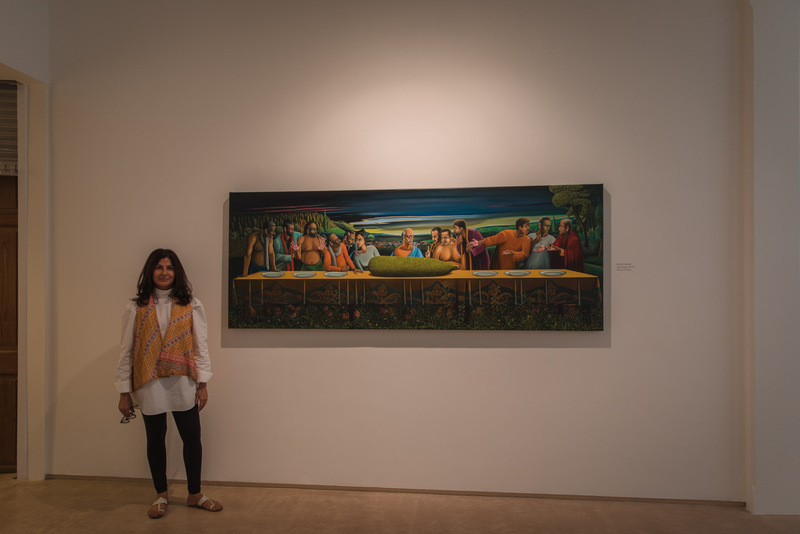 “We see art buyers from abroad with a deep interest in Indian art, but there is still a huge potential for our local art to evolve in the international scene”, she explains as we walk through her recently opened exhibition focused on artists from Kerala, South India. 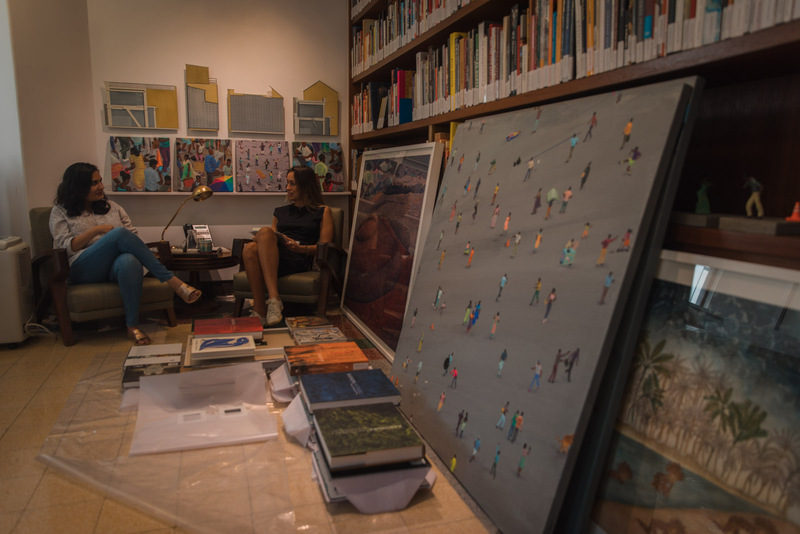 Mirchandani + Steinruecke, founded in 2006 by Ranjana and her mother Usha Mirchandani – a respected art consultant, is one of the few galleries in Mumbai to bring in noteworthy international names. “When I moved back to Mumbai from Berlin in 2006, there were no foreign artists exhibiting in India”, she points out, “We helped to bring leading contemporary figures from Germany and the US to our country. If we want to grow, it’s fundamental to import and export the knowledge and experience of both local and international talents”. Unlike in New Dehli, where one drives long distances from one neighborhood to another, or from one mall to another, the art experience in Mumbai is holistic. All main galleries are grouped in the south of the city – Colaba – Mumbai’s unofficial arts district, much like the East End of London or the Chelsea Art district in Manhattan. But here, in Mumbai, making your way to the city’s most compelling cultural offerings can be a disorienting study in contrasts. 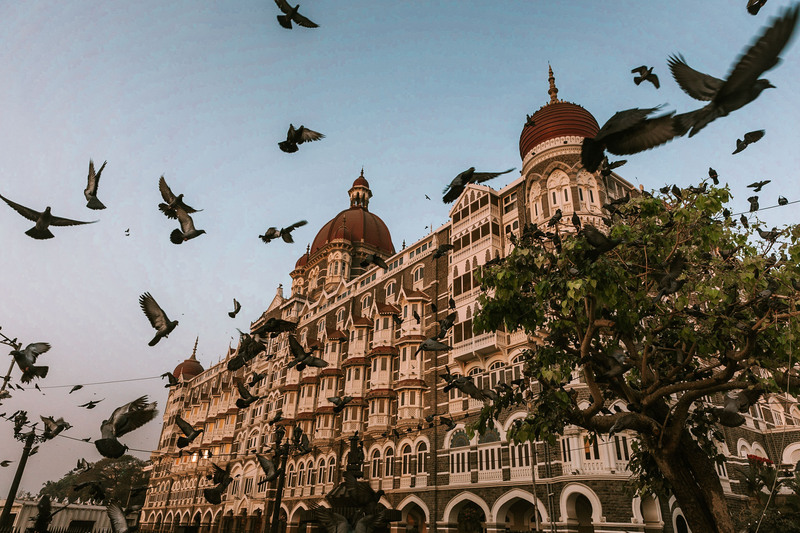 I walk from one gallery to another, near the Taj Mahal – the magnificent city’s landmark and the hotel I am staying and experience Mumbai’s exuberance reflected in its many buildings styles: from art deco and modern towers to Victorian-era structures. I cross crowded streets, where the air is dense with the dust from the cars and the smell of flowers. A few blocks to the south from Mirchandani + Steinruecke is the visionary Project 88, considered one of the forerunners for established and emerging Indian art. Its owner, Sree Goswami, embraces all media; performances and installations take place alongside conventional painting and photography shows in the 370sq m converted printing factory. The exploration continues at Chemould, the city’s oldest and most prestigious gallery. Founded in 1963 by Kekoo Gandhy with his wife Khorshed, it’s currently managed by their daughter – Shireen – and occupies a huge third-floor space in a Prescott Road mansion. “We’ve been here for half a century”, says Shaleen Wadhwana, Chemould’s head of sales, “Our legacy is being the oldest space where our local artists can congregate and be themselves”. India is an old civilization, with untold treasures. But what has happened since the 1990s has changed things. “Chemould has become an institution in Mumbai”, she clarifies, “As we started in the ’60s, we have seen many different waves of artists. Chemould has definitely contributed to shaping the history of Indian modern art”. 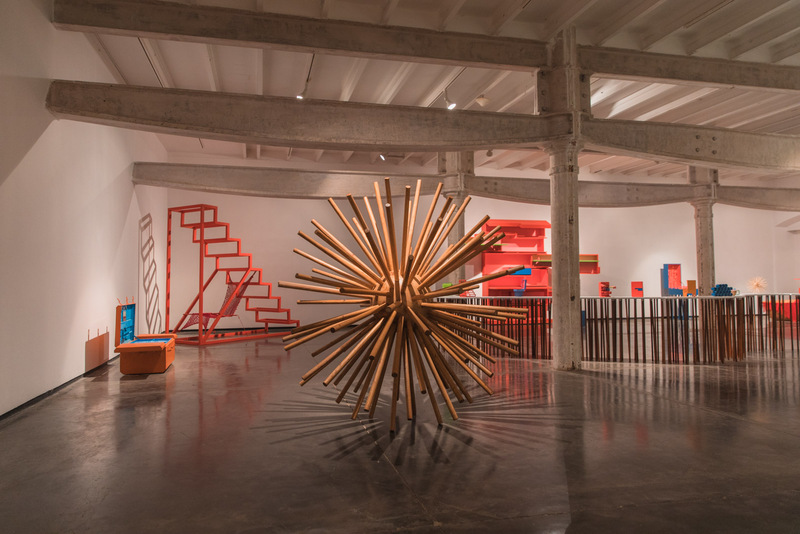 The economic boom and significant political changes have helped contemporary artists benefit of building their career as India’s ascent on the world stage and the proliferation of art biennales, fairs, and galleries – many of them in Mumbai – have brought some Indian artists international recognition. “In 2008, during the market crash, young artists in Mumbai didn’t have a space to show their work”, says Hena Kapadia – the founder of Tarq – as she explains the context out of which her gallery was born. “My primary goal is to help young artists”, she highlights, “When I first opened Tarq, many galleries in Bombay were avoiding to show new talents due to the huge drop in art prices. It was a difficult time, but I wanted to take the risk”. Tarq is the youngest gallery in Mumbai and yet one of the most promising. Its work is dedicated to nurturing a conversation around art from a diverse range of contexts: from wilderness sustainability to urban development. Tarq is housed in the elegant Dhanraj Mahal, the ravishing art deco palace – A breath of fresh air in a city that assaults the senses. As I navigate across Colaba, I come across Chatterjee & Lal – another young gallery and exciting addition to the scene. It stands apart by focusing on boundary-pushing and innovative art elements. “We target performances,” says Mortimer Chatterjee, who founded the gallery in 2003 with his wife, Tara Lal. “We use historical materials into conversation with Contemporary Art,” he discloses, “Our vision is to show artists that use their bodies to express art”. Mort enthusiastically walks me through Indian modern art — “It’s extremely global these days” — and highlights the importance of young gallerists for the evolution of the local modern art. He is categoric when asked about the best way to explore Bombay’s contemporary art: “Art Night Thursday,” he says, “It involves galleries and museums extending their opening hours on the first Thursday of every month. All galleries in Colaba keep their doors open until 9:30 pm. It’s a great opportunity to do guided walks, meet gallerists, artists and enjoy Mumbai’s energetic art scene”. We traveled to Mumbai, India, in March 2018. 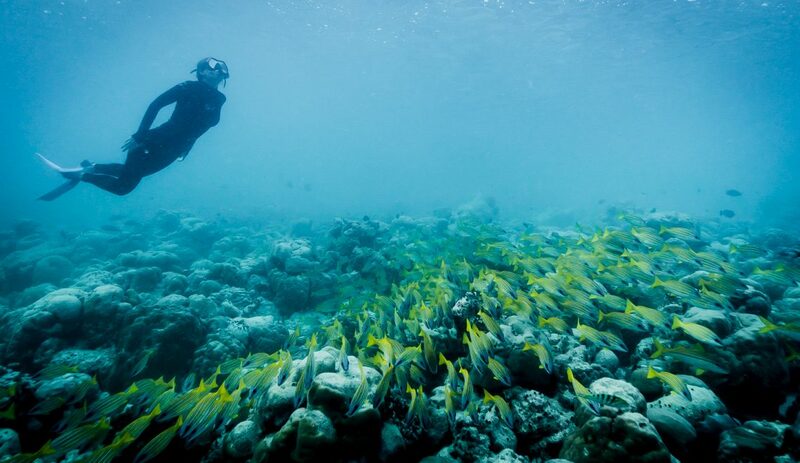 We flew with Singapore Airlines from Singapore and stayed at Adobe hotel, Oberoi and the incredible Taj.